I don’t know about your kids, but my daughter recently got sucked into watching those KinderSurprise Egg videos on YouTube and now she is hooked. She even is getting her little brother hooked on these videos. Both are begging for eggs of their own. Now Easter is arriving and I am trying to find these surprise eggs in stores. It isn’t so easy but it is possible, now you can find them at local corner stores in NY and Toys R Us and of course Amazon. However, I am not ready to fork up at least $2.00 for one egg with one cheap toy and chocolate that my daughter doesn’t even eat. So I decided to try to make my very own surprise eggs. 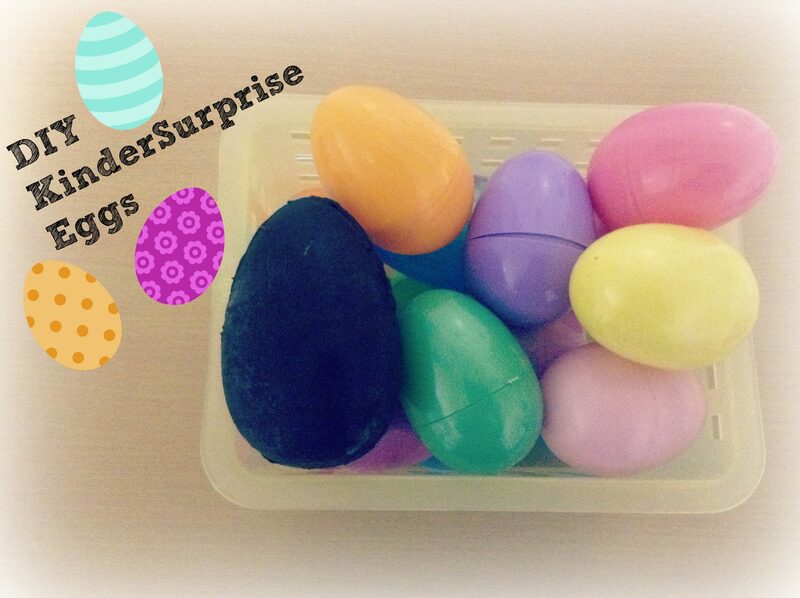 Today, I am sharing with you how you can make your own Surprise Eggs. 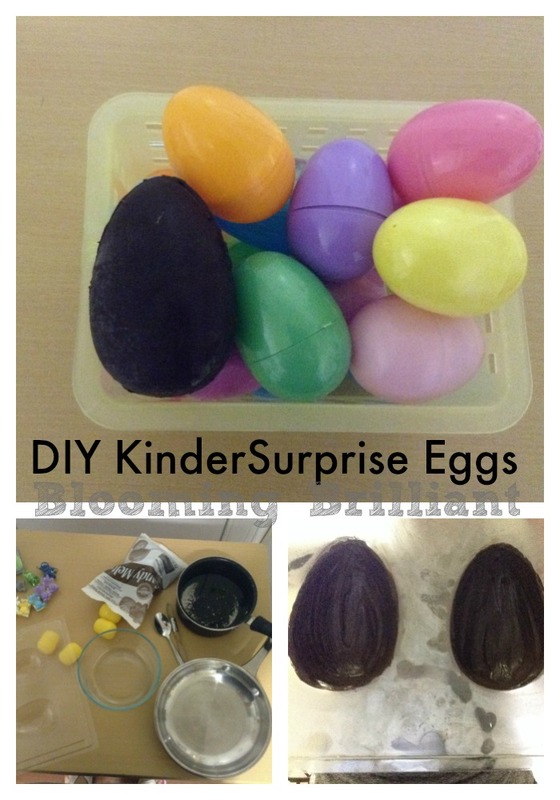 These are great to make with your kids for Spring and Easter and to put in their baskets. Let’s get started! For the double broiler method-bring a pot of water to a boil. I used two cups of water to heat up my small bowl of chocolate. Place the glass bowl above the pot of boiling water. If you opt to microwave your chocolate that is fine as well. Just follow the directions on the packaging. Once the chocolate is melted, start brushing a layer of chocolate into your mold. Once there is a nice thick coat, pop it in the freezer and wait about 2 minutes for it to be hardened. The repeat the process adding another layer of chocolate and freezing. Making about 4 layers in your egg. After the fourth layer is frozen you are going to pop the halves out of the mold. Then are going to put the tiny treats in your small egg containers. Next heat up a pan. Take the two halves of the egg and place them face down in the pan for a second. Pull them out, pop the container in and seal shut by pushing the two halves together. Set aside in a cool, dry place until you are ready to share with your loved one. Would you try to make these yourself or with your kids? Let me know in the comments section below.